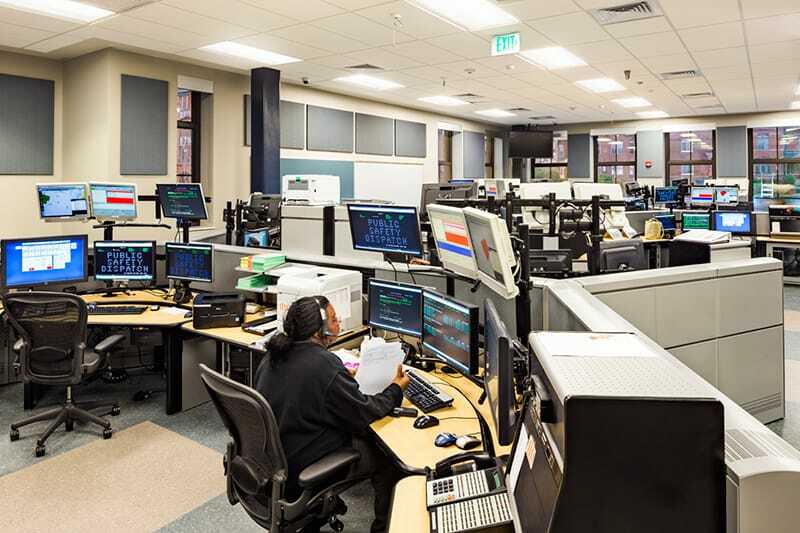 Gilbane builds innovative new facility for Hartford’s Police, Fire, and Emergency Services. 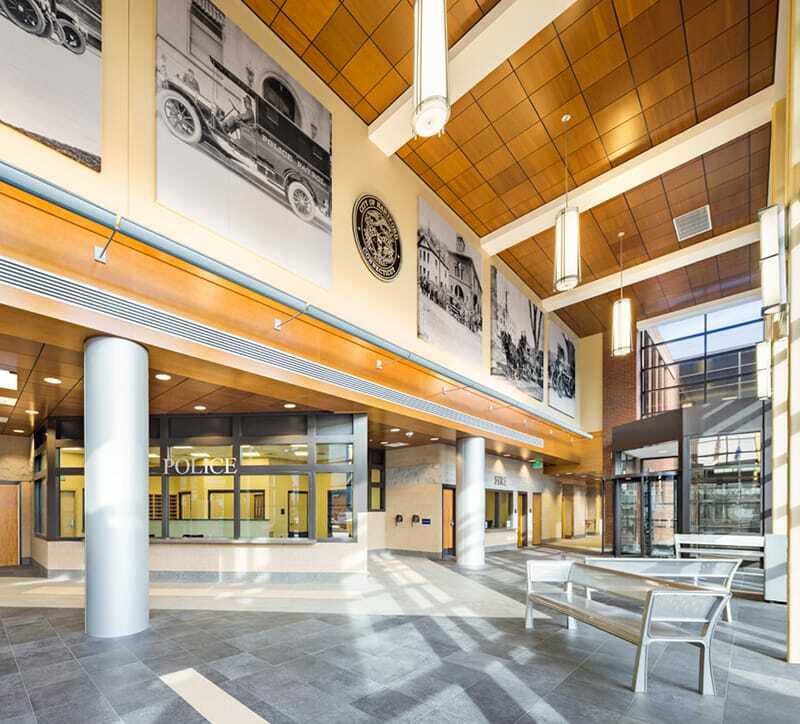 The City of Hartford engaged Gilbane to provide construction management services for the new Public Safety Complex. The project encompassed the construction of a new four-story building and a new two-level precast parking structure. The new Complex can accommodate over 500 police, fire, and emergency services personnel and is located on a six-acre parcel that is part of an overall 26-acre redevelopment initiative in Hartford. 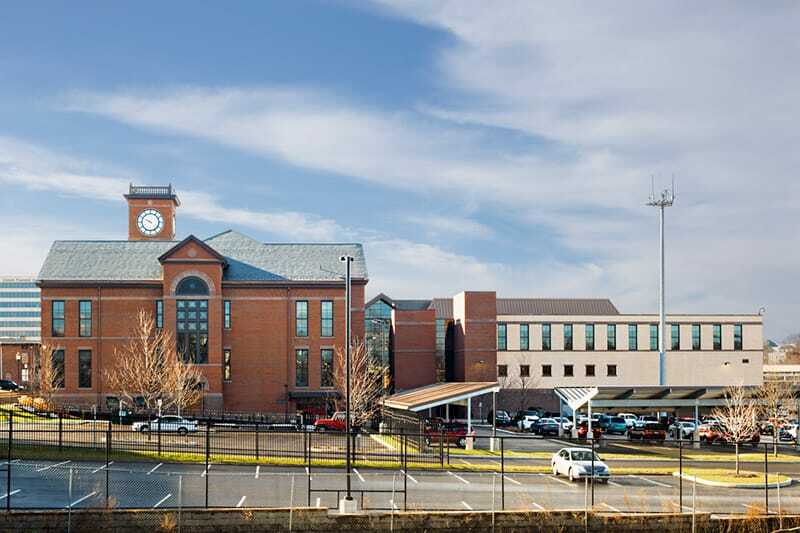 The initial phase of the work entailed demolition of the existing buildings and required extensive coordination due to its location in a tight urban neighborhood bordering the main Amtrak rail line serving Hartford. Seismic monitoring was necessary to ensure uninterrupted operation to these businesses. 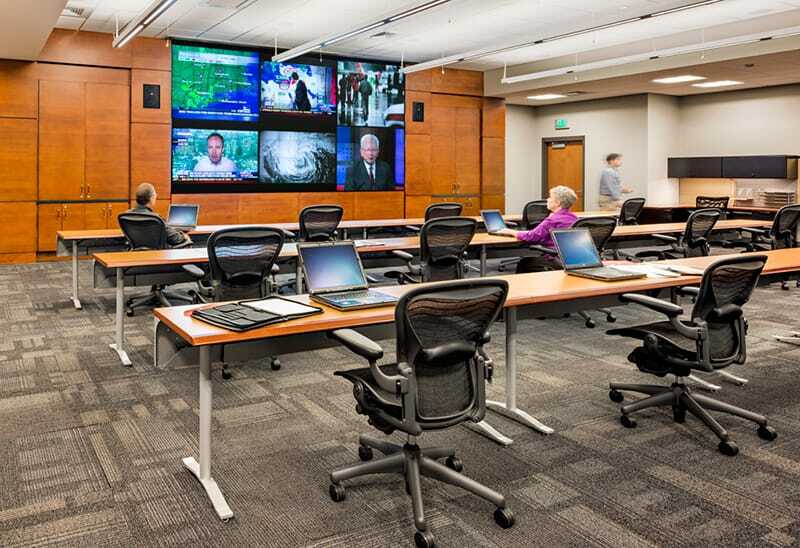 In order for the Complex to serve as an Emergency Operations Shelter and 911 dispatch center, emergency energy systems were crucial. The facility is served with a pillar 1670 KVA uninterruptable power supply providing power until the generator engages and the 800 KW generator can support the entire facility. Additionally, a 400 KW UTC fuel cell serves as a renewable energy resource with generator load shedding ability to assist electrical grid impacts during peak demand. The fuel cell also delivers “free” cooling through the absorption chiller during normal operation.